Oh my god. 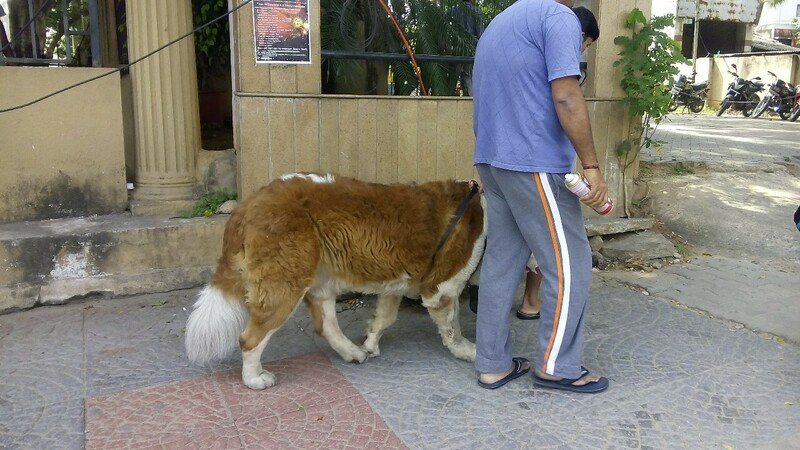 look at this gigantic dog. I found it today near Forum mall. The dog is very heavy & he has a different attitude . look the father & his son is pulling the dog to move it forward.